Before I get into the review, just a quick general update! First of all, happy new year everyone! Secondly due to life (studying, writing and other such things) I am going to be aiming to make this a monthly review site, so it will still be live just a little less frequent. Book two of 'A World Within Worlds' is also coming along nicely and much much longer than the first book. I am planning to have that all finished up in 2020, so watch this space for more information! The Glass and Steel books are a nice series of detective style stories told from the perspective of Miss Steel, the daughter of an English watchmaker and a very talented craftswoman herself. 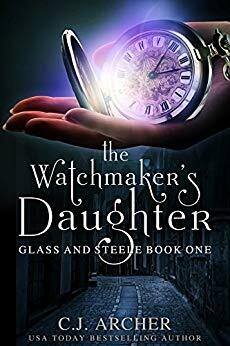 Set a hundred years or so in the past in London, the series kicks off with 'The Watchmaker's Daughter' and reveals to us the tragic circumstances of Miss Glass, namely unemployed, bereft of family and recently tricked out of her family shop by her now ex-fiance. Enter Mr Glass, an American on a quest to find a very specific watchmaker, and his companions; Cyclopes, Duke and Willie. Without wishing to spoil anything, circumstances arise which lead Mr Glass and Miss Steel towards helping each other, and solving a few other mysteries along the way in the subsequent books. Archer employs a good knowledge of her time setting to create a very realistic feeling old London, coupled with the confines upon men, women and people of different classes there are some very tense moments where you might find yourself holding back from yelling 'Just do it already!' 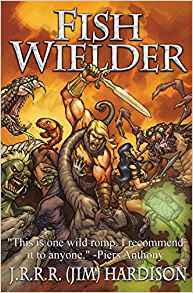 To add her own spin on this setting Archer has also deployed an interesting and rather well thought out system of the arcane and nicely explores what it means to be feared, and to fear what you do not understand simply because of your lack of understanding. I have given this series a rating of 7 out of 10 for a few, mostly simple reasons. As a whole the series is pretty great, and I got through the first 6 books in the same number of days. 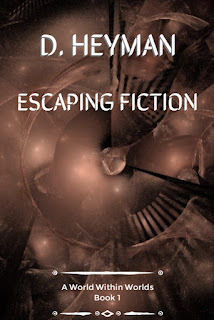 They are not 'difficult' books to read, and have a really nice flow through the story, with a good pace of character development and key events. Archer also uses her characters well to talk about important themes in today's society, such as oppression of race, sexuality and freedom of self expression, without breaking our immersion of the setting. My main issue with the series is the occasional deployment of a 'Deus Ex Machina' style device. In this day and age, I still find it to be a little lazy, especially when there were many other ways the critical event could have been resolved satisfactorily and without such intervention. However, this is pretty much my only problem with the series from a critical point of view. If you enjoy mystery stories with a touch of magic, then I really would suggest picking up 'The Watchmaker's Daughter'. It was on sale when I bought it, and well worth the money even at full price. The only downside is Archer has only published it digitally, limiting your reading options a little. That said, you can pick it up on Amazon here.